The mission of MacCanDo- Help at-risk youth reach their full potential through track and field opportunities. 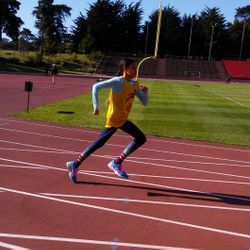 MacCanDo Tenderloin Youth Track Club is the first non-profit track club formed in San Francisco?s Tenderloin District. 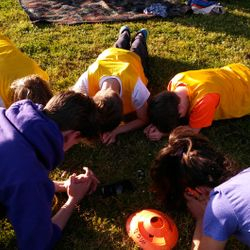 The program is designed to help at-risk youth who primarily live in San Francisco?s Tenderloin district, but not limited, to reach their full potential through track and field opportunities. The program is year-round with minimal dues per season. MacCanDo provides children with a safe environment where they are encouraged to work hard to reach their goals as student athletes. The goal of the club is to help children build confidence, self-esteem, promote overall health, and most importantly, HAVE FUN. MacCanDo encourages our team members to "FINISH THE RACE". No matter what place you take, you are a champion when you finish the race! MacCanDo kids do not give up! NEW MEMBERS must be between the ages of six and twelve at time of enrollment. Student/athletes may continue to participate in our program after age twelve if they enrolled prior to turning twelve. Education is one of the driving forces behind the mission of MacCanDo where staying in school and making constructive choices are important components of our program. MacCanDo tries to strike a balance between school and participation in outside activities. Student athletes are required to submit their report cards at least twice a year. MacCanDo kids RUN, JUMP, THROW, WORK HARD, and HAVE FUN! Coach Rob "2016 Masters Grand Prix Winner"
Pacific USATF awarded our own Coach Robert McDaniels "2016 Masters Grand Prix Winner" in the Sprint Division. Click on the link below for more info. 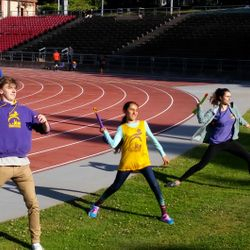 MacCanDo kids participated in the 2017 Kids Games at the Kezar Stadium on May 7, 2017. Under a beautiful blue sky, children showcased what they have practiced and worked hard at since the beginning of the year. The Kids Games began with a march into the stadium along with San Francisco’s Police Chief, officers and other city officials. Three sprint events, the 50m, 100m and 200m dash, and the long jump were contested. For most of our kids, it was the first track meet in their young lives. For some, it was a come-back competition. The magnitude of courage that the MacCanDo kids showed was overwhelming. And they all made a 100% effort. Some won triple golds in all sprint events. Some fell during a track event, but got up and ran again, demonstrating the MacCanDo spirit of “finish the race even if you stumble”, so they are all champions! 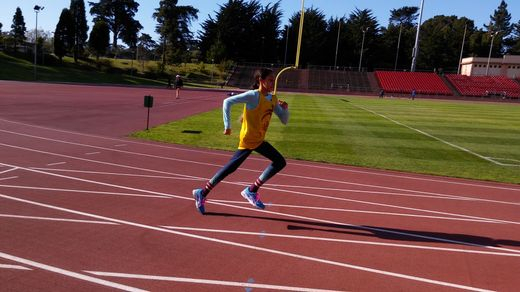 The next track meet, the ` Tommie Smith Youth Track Meet` is scheduled in June at UC Berkeley.